A major donor report is a report of all of your donors who have donated above a certain amount (you get to determine what amount makes someone a major donor for your organization). For this example, let's say that we've decided that anyone who has donated $500 or more is considered a major donor for our organization. If you are looking for all of your major donors in a specific time frame, you can add a filter using one of the date fields. 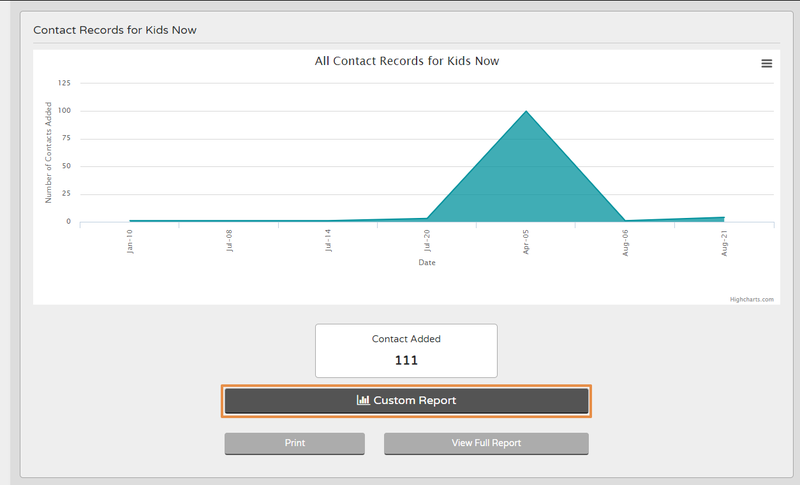 Click Custom Report (a popup overlay will appear to allow you to pick the fields you want in your report). Pro tip: Create an Export Profile with these fields so you do not have to search for them each time you pull this report. 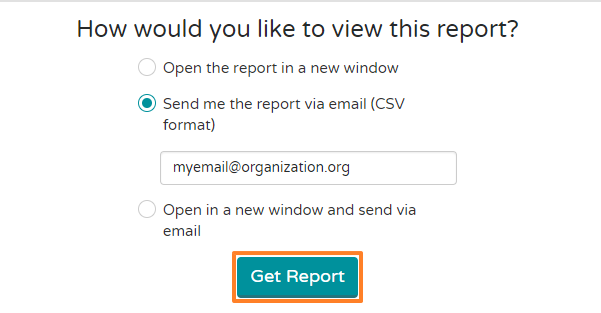 Select "Send me the report via email (CSV format)", enter your email, and click Get Report. You will be emailed a link to download your generated CSV file. Now you have a list of all donors who contributed at certain minimum level. You have their names, contact information, and donation habits for targeting and outreach to motivate them to give again! *Important Note: In Flipcause, "Contribution Amount" indicates any contributions, which includes all financial activity including donations, registration, online store, sponsorship, etc. With major donor reports, it's up to you which way to treat your contributors: filter by Donation activity specifically (donors), or filter by any financial contribution activity. If you're looking for specifically donations, make sure to use the [YEAR] Donations and [YEAR] Donations Amount fields. If you're looking for overall contributions, you'll want to use the [YEAR] Contributions and [YEAR] Contribution Amount fields instead.